BMW will stir up a hornet's nest of controversy in 2009 when it launches the strange, niche-bending 5-series PAS. We don't yet know the full name of Munich's latest model, but we understand it will keep the 5-series badge and add a new moniker – like the Touring tag for BMW's estates. What does PAS stand for? 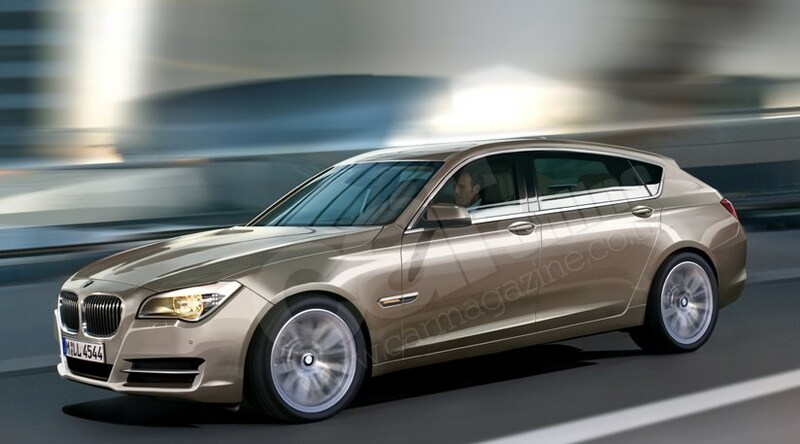 It's the working title of the new BMW 5-series spin-off and signifies this is the Progressive Activity Sedan. Read into that title what you will: CAR's view is that it mixes the best bits of saloons, estates and MPVs. BMW PAS: Jack of all trades, master of none? We're still struggling to see where the PAS fits in to BM's range, but we'll give Munich the benefit of the doubt until we see it. And this car will excel in many areas: those unusual proportions will afford a colossal amount of passenger space, the rear legroom said to exceed that available in the 7-series. Perfect for lanky basketball players, then. And the PAS will mix in a high degree of practicality in other ways. It will be the first BMW to use a double-hinged boot like the Skoda Superb's, operating in saloon boot or hatchback modes. How accurate is your artist's impression? It's very close to the real car, according to those who've seen the PAS. It will identifiably be a part of the new 5-series family – we'll see the saloon and Touring variants in 2010 – so the PAS will be our first glimpse of the new 5-series design. Expect a modern look, with 7-series-style, eyebrow-lit headlamps and the latest iteration of BMW's kidney grille. The PAS is a taller, stretched Five with an elevated seating position, placing practicality over exec cool. So the new BMW PAS is not an MPV? Nope. BMW cancelled its plans for a 'space functional concept' and instead developed this more moderate PAS. There are elegant frameless doors and a split adjustable rear bench that – when folded – turns the PAS into a bigger load lugger than a 5-series Touring. There's no third row of seats, however, unlike Mercedes' equally strange R-class. And what's under the bonnet of the PAS? We expect to see many more clues about the PAS at a motor show in spring 2008, probably in concept car form first before the production version arrives next summer. We'll finally see if BMW has hit the bullseye with a clever new niche, or whether it's ploughing a lone furrow down a dead end.